Railfreight operator DB Cargo UK has signed a pact with container and logistics operator Maritime Transport to combine their expertise to increase capacity at two of the UK’s main ports. A new Maritime Intermodal division will initially run four dedicated services out of Felixstowe and Southampton. 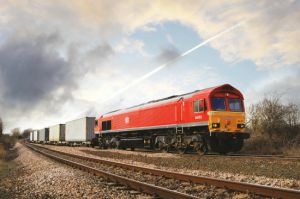 DB Cargo UK will be contracted to run Maritime Intermodal’s rail operations out of the two ports while Maritime Intermodal will take on responsibility for DB Cargo UK’s inland terminals at Trafford Park, Manchester and Wakefield in West Yorkshire. Maritime Intermodal is also committed investing in equipment and groundworks at the two sites, improving turnaround times and increasing container storage capacities. The terminals will remain open-access to both intermodal and non-intermodal services. As well as existing services, Maritime Intermodal will seek additional services from all UK ports with all freight operating companies. Maritime Intermodal will take on responsibility for DB Cargo UK’s existing intermodal customers on its Felixstowe and Southampton services. DB Cargo UK will retain its remaining intermodal business including flows to and from Scotland. DB Cargo UK chief executive, Hans-Georg Werner, said the deal: “Will enable DB Cargo UK to focus on what it does best – the efficient and reliable running of rail freight services, while giving Maritime the platform to offer its customers further capacity to move its container traffic. For Maritime Group, executive chairman John Williams, added that the new division would offer increased resources to customers “in an increasingly difficult market place”.